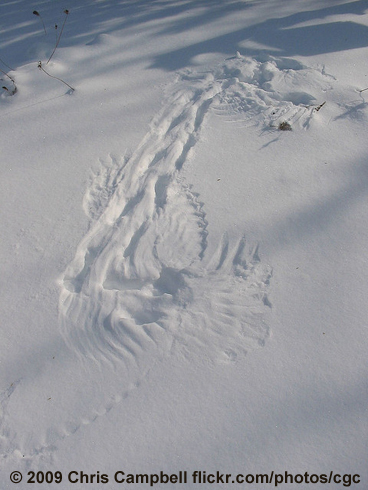 Look for the stories birds tell with their tracks in the snow. A crow swaggers, leaving right-and-left steps much as a walking human would. Juncos under a birdfeeder leave a hopping pattern of tiny footprints in side-by-side pairs. Look for beak marks, where a bird picked up a choice morsel or probed the ground. Tell-tale signs sometimes tell stories of life and death. 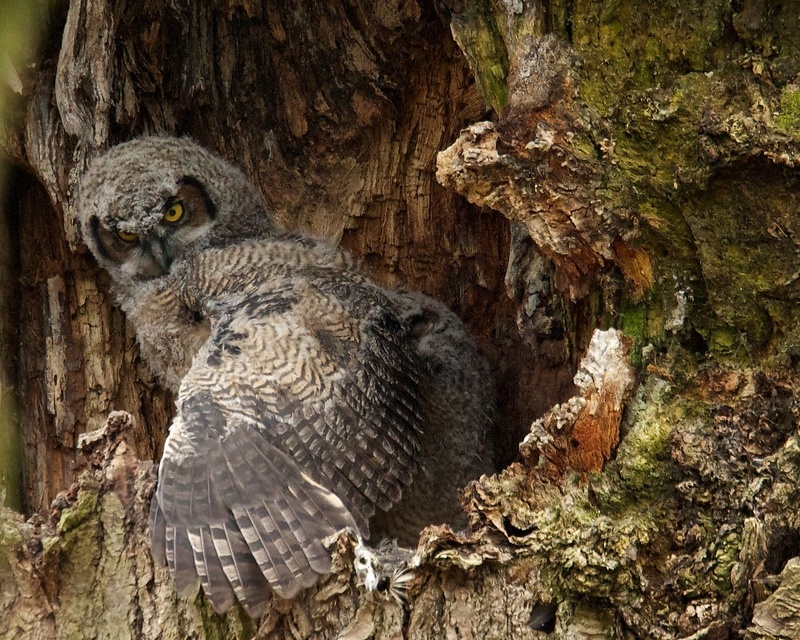 You might see mouse tracks end suddenly, just where you find the imprint of an owl's wings. Find out more about animal tracking at the Wilderness Awareness School. And learn more in Bird Tracks and Sign: A Guide to North American Species, a book by Mark Elbroch. 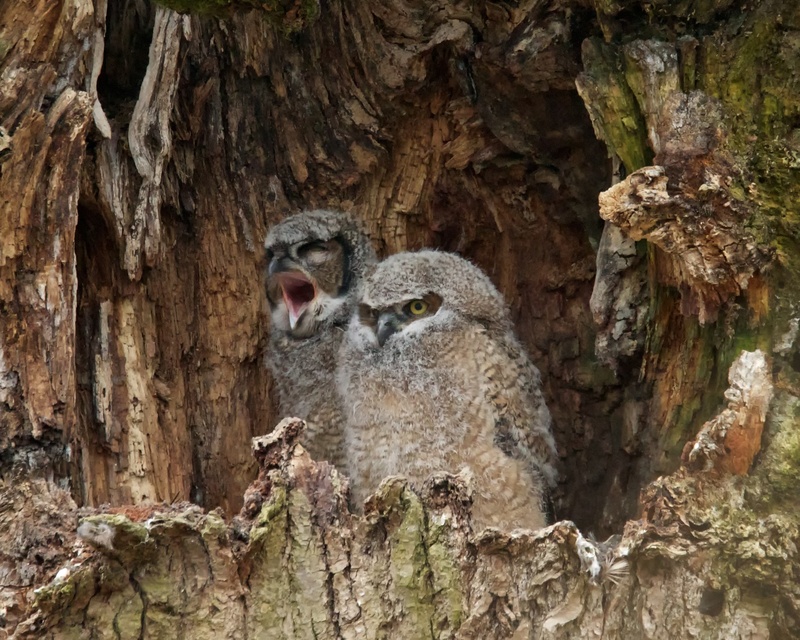 Out in open country, [Great Horned Owls hooting] tell-tale signs sometimes tell stories of life and death. You might see mouse tracks end suddenly just where you find the imprint of an owl’s wings. 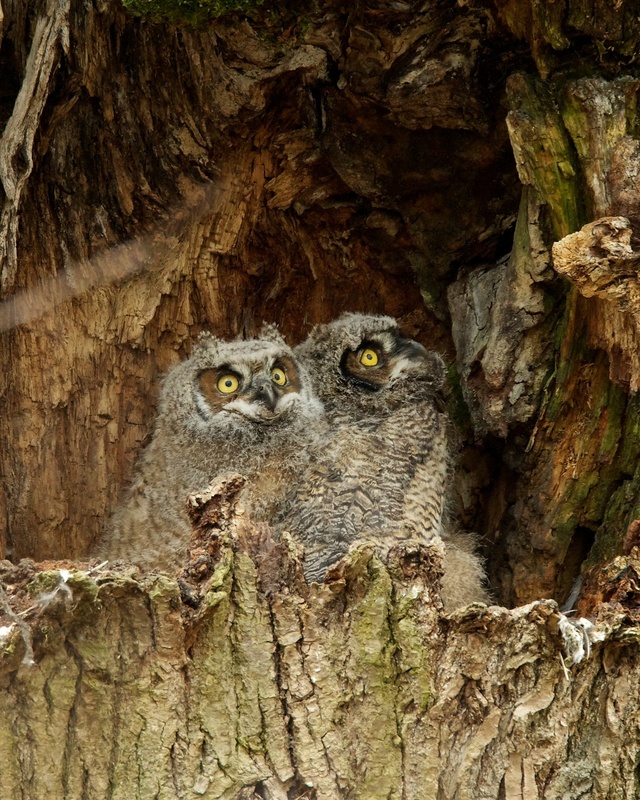 Featured bird sounds provided by The Macaulay Library of Natural Sounds at the Cornell Lab of Ornithology, Ithaca, New York. Calls of American Crow, American Robin and Song Sparrow, recorded by G.A. Keller, Dark-eyed Junco by W.L. Hershberger, Black-capped Chickadee by S.R. 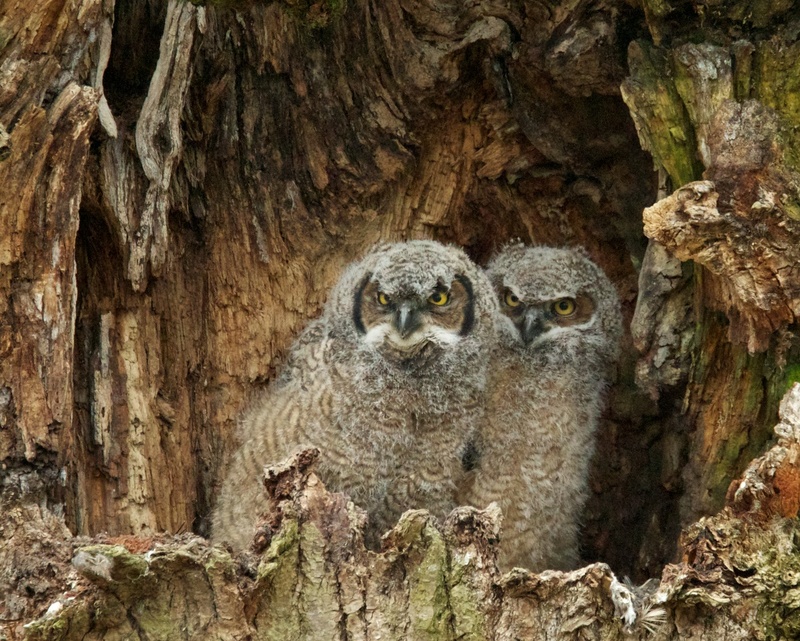 Pantle, and Great Horned Owl pair by W.R. Fish. Ambient by C. Peterson and Kessler Productions.